Finally. After waiting many a moon, Riff Relevant can now reveal this wondrous event to you! A new one-day stoner rock festival has been organized and is presented by TONESMITH. A day of heavy riffs, rigs, and ribs – we give you FIREBREATHER FEST in Indianapolis, Indiana. Drew Smith (Archarus) and Jordan Smith (Drude / Potslammer) together are Tonesmith. In addition to performing with their individual bands, they have also been the purveyors of backline services for festivals and events in Indiana and its surrounding regional area. For those not familiar, ‘backline’ is a set of speakers/amps, drums, or other gear at live music events that is used by all bands performing. Tonesmith provides this gear (their owned equipment) and has handled backline for the two Doomed & Stoned Festivals in Indy, as well as Descendants Of Crom 2017 in Pittsburgh, among others. FireBreather Fest is scheduled for a full day on Saturday, April 14th, 2018; at Indiana City Beer 24 Shelby St, Indianapolis, Indiana, and will begin at 3:00pm (EST). The event is for those age 21+ (hi, sorry, it’s a brewery). Food will be available at the all-day event, provided by Black Metal BBQ. 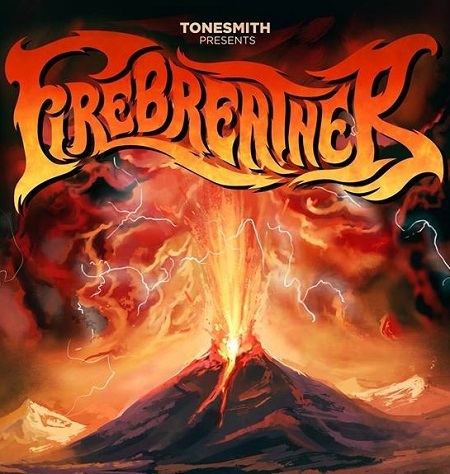 TONESMITH host and presenter of FireBreather Fest and sponsored in part by Riff Relevant, as well as Blackseed Records, Indy Metal Vault, Kuma’s Corner, NWO Metal Militia, Doomed and Stoned, and Eleven Productions.